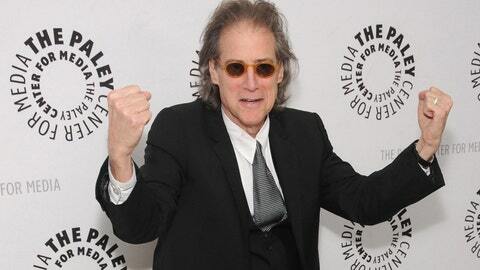 Richard Lewis graduated from Ohio State and hopes the BCS process doesn't skewer his Buckeyes. It’s not as if Richard Lewis needed more to obsess over. Now, America’s leading neurotic has to worry about the BCS and what it might do to his alma mater. “I can’t wait ’til the playoffs start next year,” he said. It also helps that his routine is not just an act. Lewis really has spent a better part of his life anguishing on a psychiatrist’s couch. His biggest fear this week is that Auburn will elbow his Buckeyes out of the BCS Championship Game. “After being a scoring machine and never losing a game in two seasons with the QB and running back the hottest combo in college football most of the year…. If they beat highly ranked MSU on Saturday they surely deserve a shot at the big prize,” Lewis said. He was on the Fiesta Bowl sideline in 2003 when Ohio State upset Miami to win the national championship. He hopes to donate all the taped performances, notes and memorabilia of his career to the Ohio State archives. In other words, he’s about as Buckeye as a Buckeye can get, so he’s suffering from acute BCS paranoia. The thought of the one-loss Tigers vaulting over Ohio State is especially harrowing for the man known as the Prince of Pain. Just asking about it triggered one of his stream-of-conscience riffs. He came up with “The (fill-in-the-blank) from hell” phrase years ago. Yale Book of Quotations gave Lewis credit, though Bartlett’s Familiar Quotations said the idiom was around long before the comedian took the stage. Lewis and Larry David turned the dispute into a “Curb Your Enthusiasm” episode. All Lewis can do now is watch this weekend’s games and hope it doesn’t turn into a weekend from you-know-where. “I’ll see you in Pasadena,” he said. Hear that, BCS computers? The Prince of Pain doesn’t need any more material.